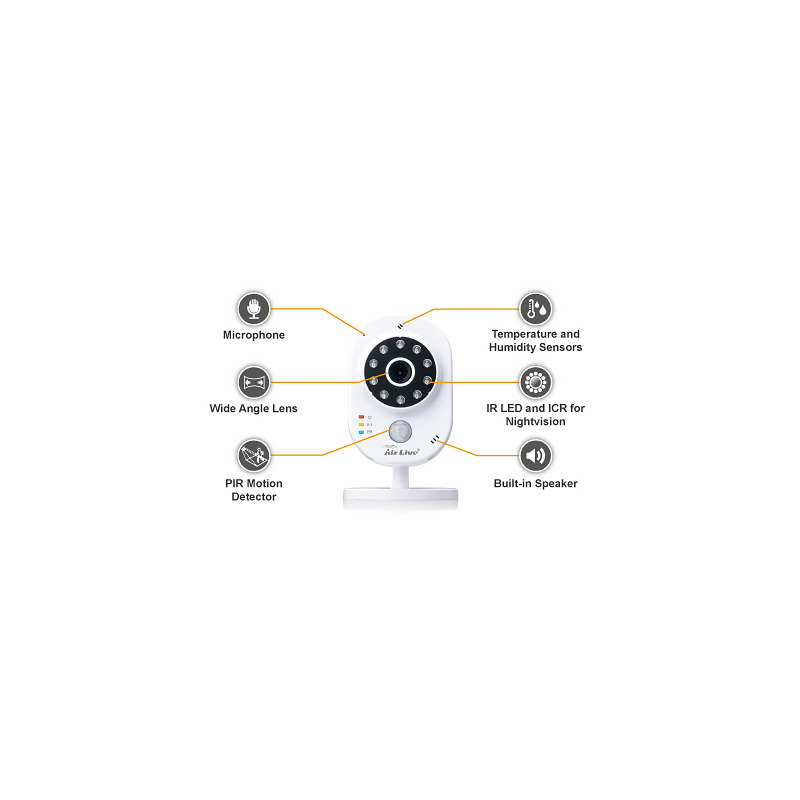 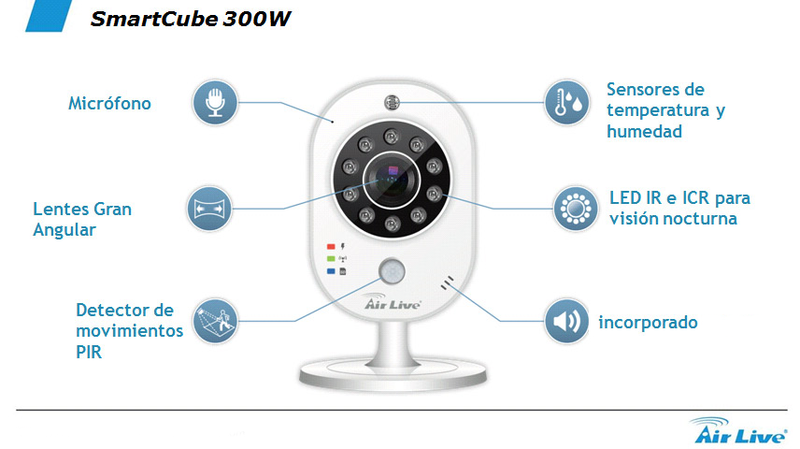 AirLive SMARTCUBE 300W, is a Wi-Fi IP camera with temperature and humidity sensor and intelligent video analytics. 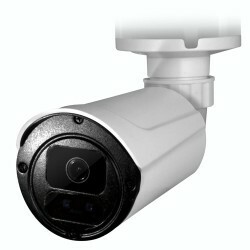 Its 3 megapixel resolution offers a resolution 10 times greater than the VGA (can be set in Full HD or 720P resolutions). 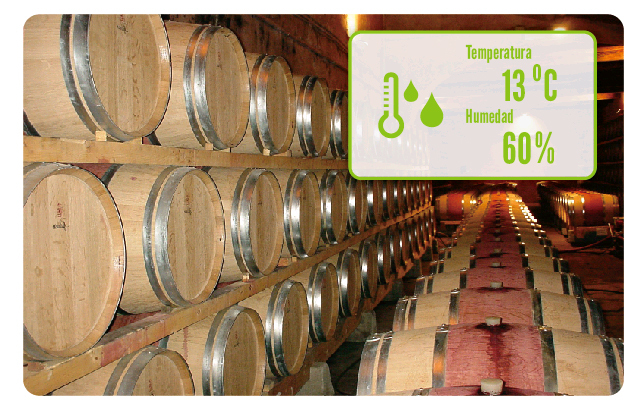 Its temperature and humidity sensor shows the data in real time and sends alerts when any of the values exceeds or falls below a value set in the configuration. 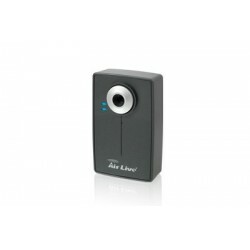 AirLive SmartCube 300 offers the modes "Door Camera" (Door CAM), "Store Entrance" and "Hallway". 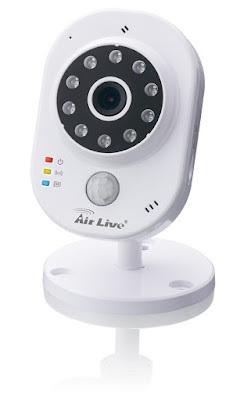 In Camera Door mode, AirLive SmartCube 300 activates a buzzer when someone is in front of your door and will send you a notification so you can see and talk to the person. 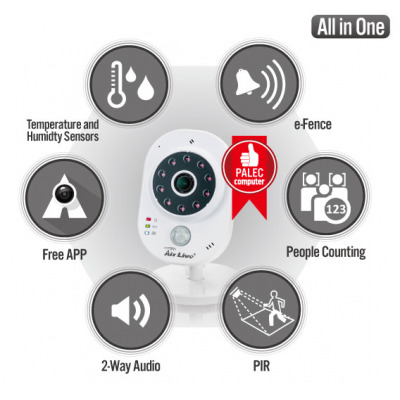 In Store Entry mode, count the number of customers per hour. You can even activate a ringer or play a recorded voice when a customer enters your store. 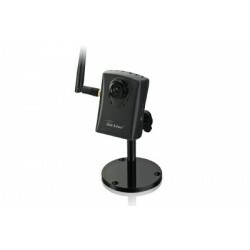 Hallway mode offers full vertical viewing angle for installation in halls and corridors. 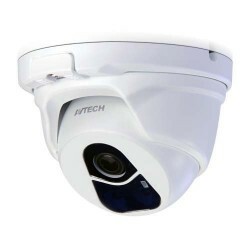 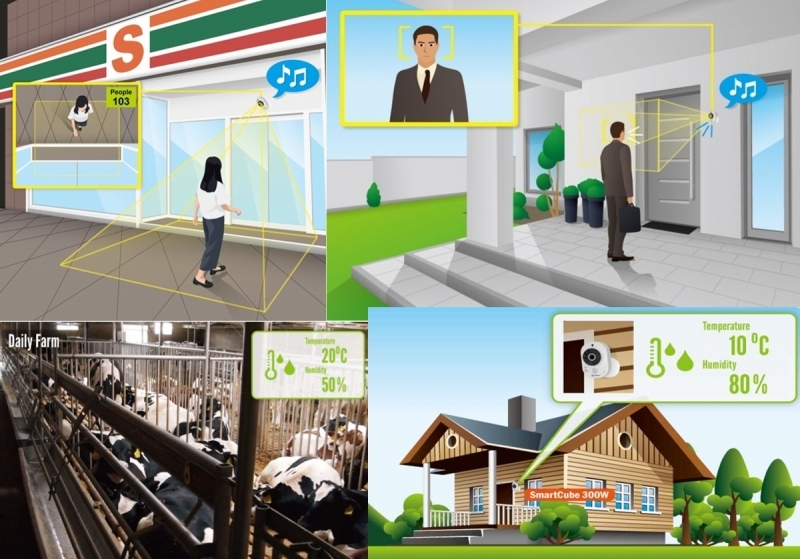 In addition to these functions, it has other intelligent video analytics such as face recognition for people, assembly of a "virtual fence" as well as people counting. 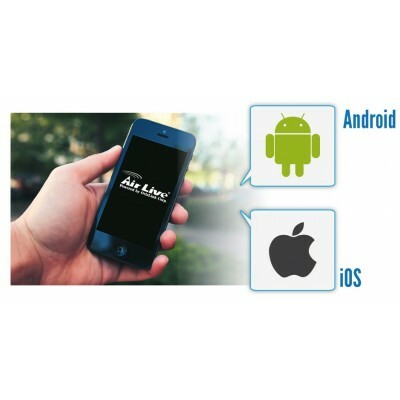 In addition, through the APP for Android and iOS of AirLive, SmartCube 300W offers the bidirectional audio function so that it allows to communicate with people who are in front of the access door, even when the user is not in his residence. 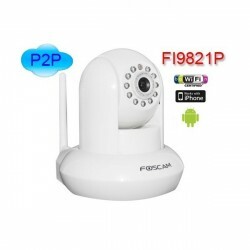 It is also possible to use any smartphone to view the camera, as well as the temperature and humidity, remotely and at any time of the day. 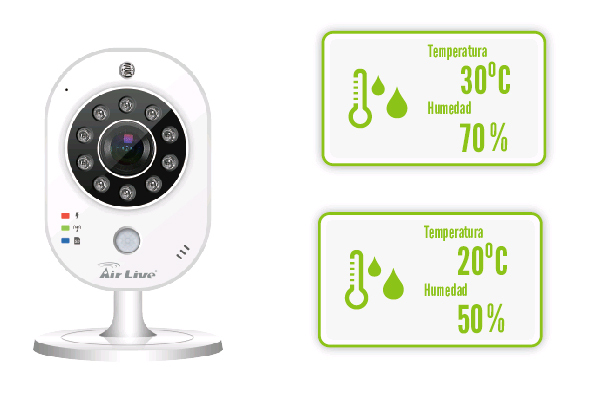 In this way, you can monitor and control these values, for saving, conservation, etc. 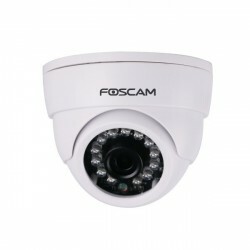 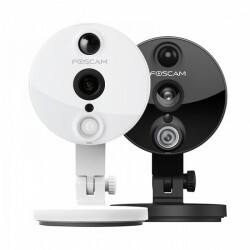 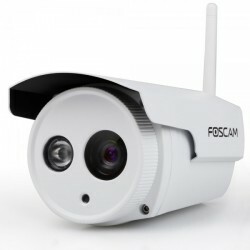 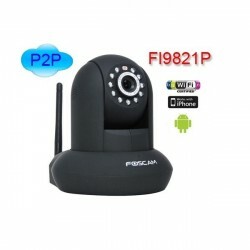 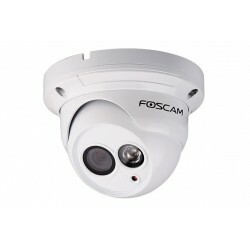 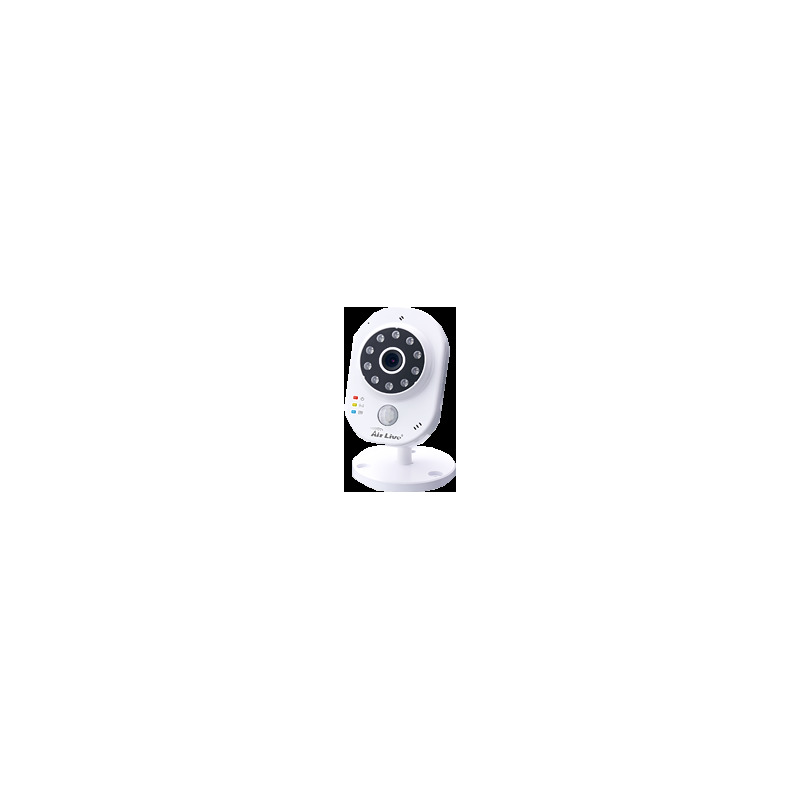 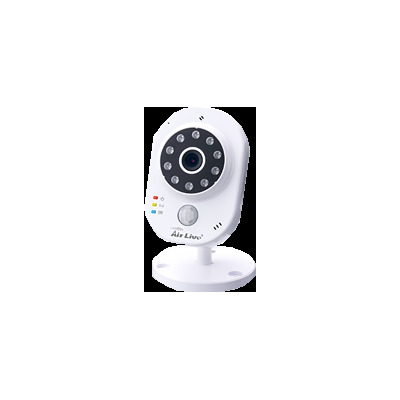 Another interesting function is that of Baby Camera. 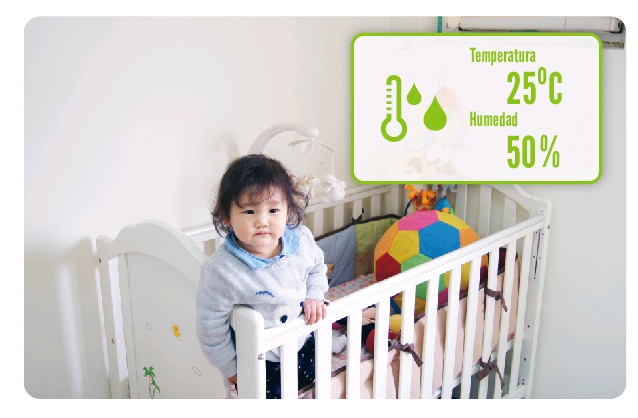 Supervision of children, the environment and its temperature and even humidity are all important factors. 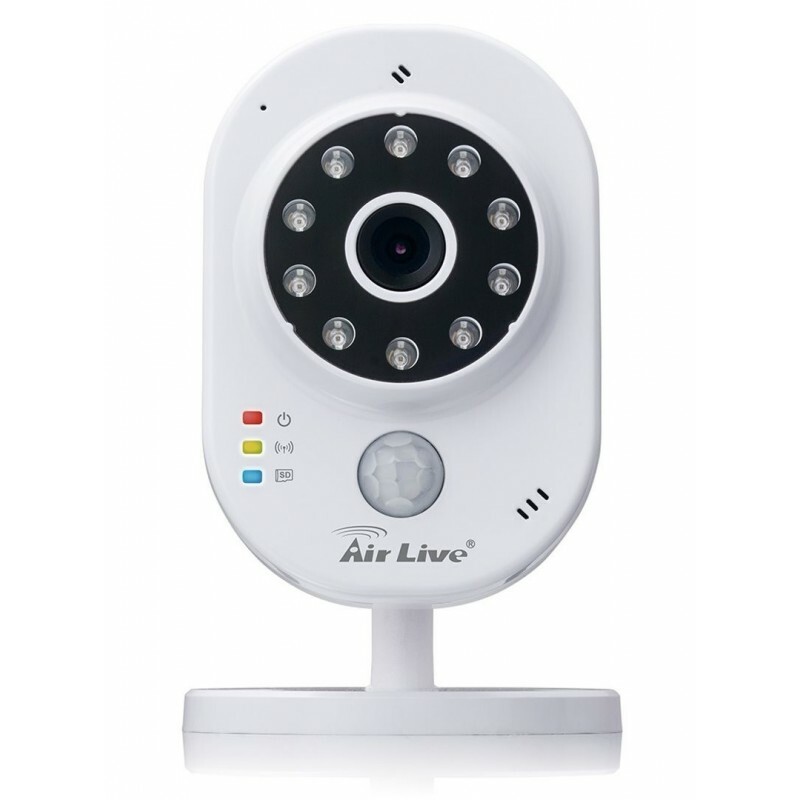 This new model of AirLive allows you to see them during the day or night, thanks to the built-in IR LEDs. 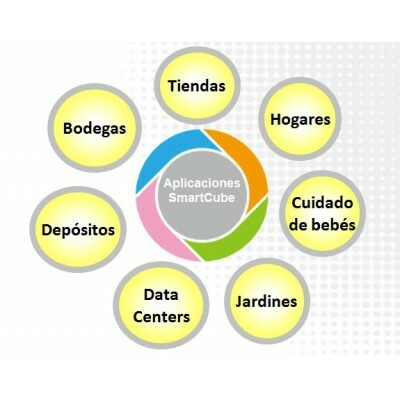 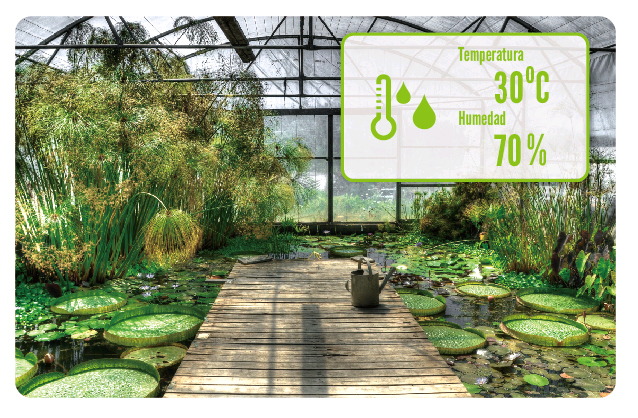 Other solutions offered by the SMARTCUBE 300W AirLive smart camera are the possibility of monitoring small greenhouses, nurseries, warehouses, and obtain valuable information to preserve plants and crops, detect suspicious activities or unwanted animals, maintain the production of broths in adequate conditions, avoiding deterioration and preserve the investment. 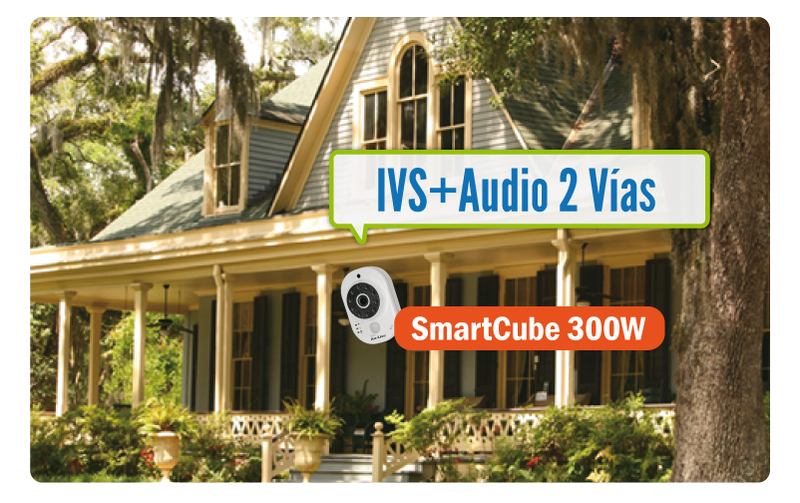 The video camera monitoring AirLive SmartCube 300W is part of the new equipment in 3 Megapixel resolution. 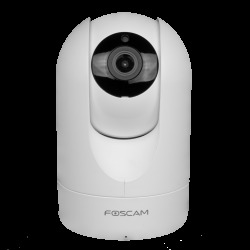 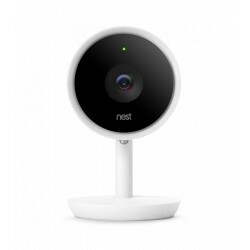 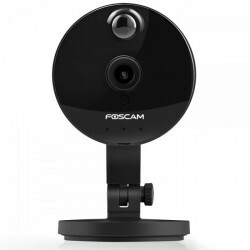 It allows the viewing of images on mobile devices, both Android and iOS, being the perfect ally for the remote monitoring of your business and they have an SD memory slot. 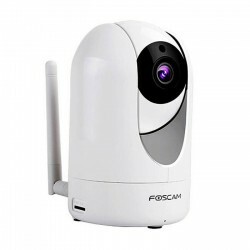 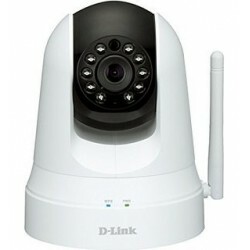 This model is also Wireless 802.11n 1T1R, reaching 150 Mbps link speed. 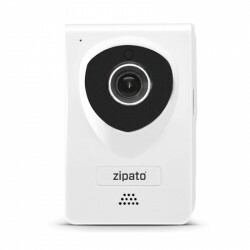 Of course it supports video streaming over H.264, MPEG-4 and MJPEG with resolution of up to 2048x1536 pixels. 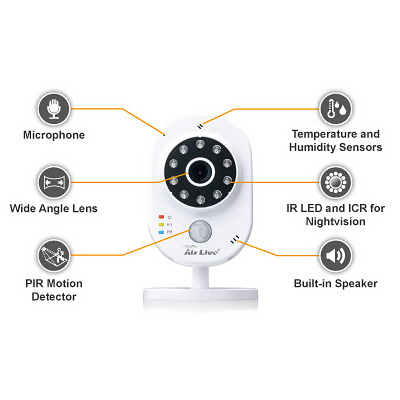 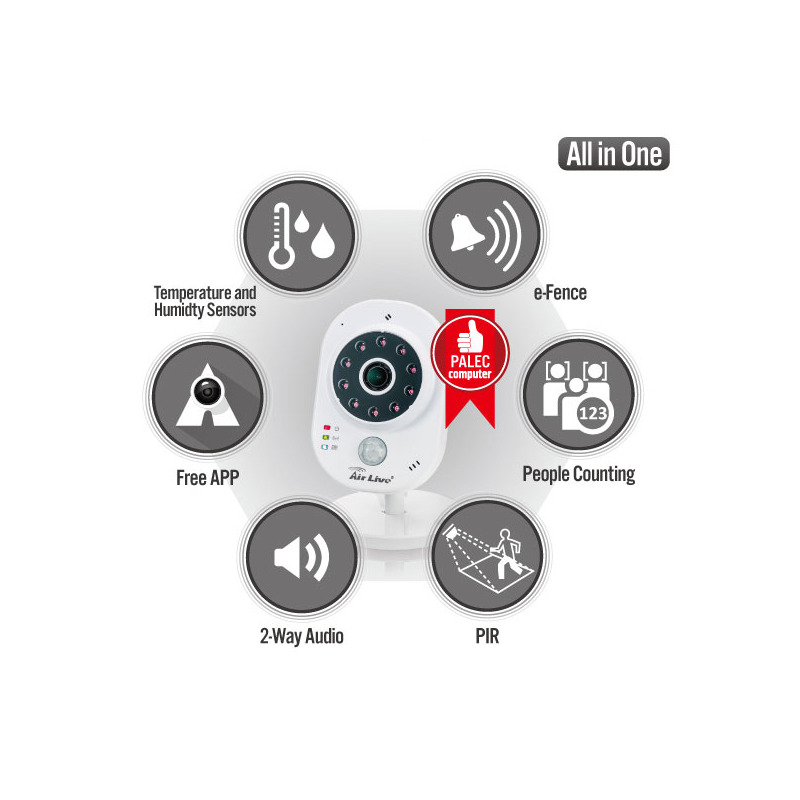 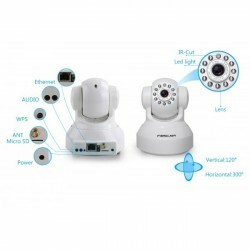 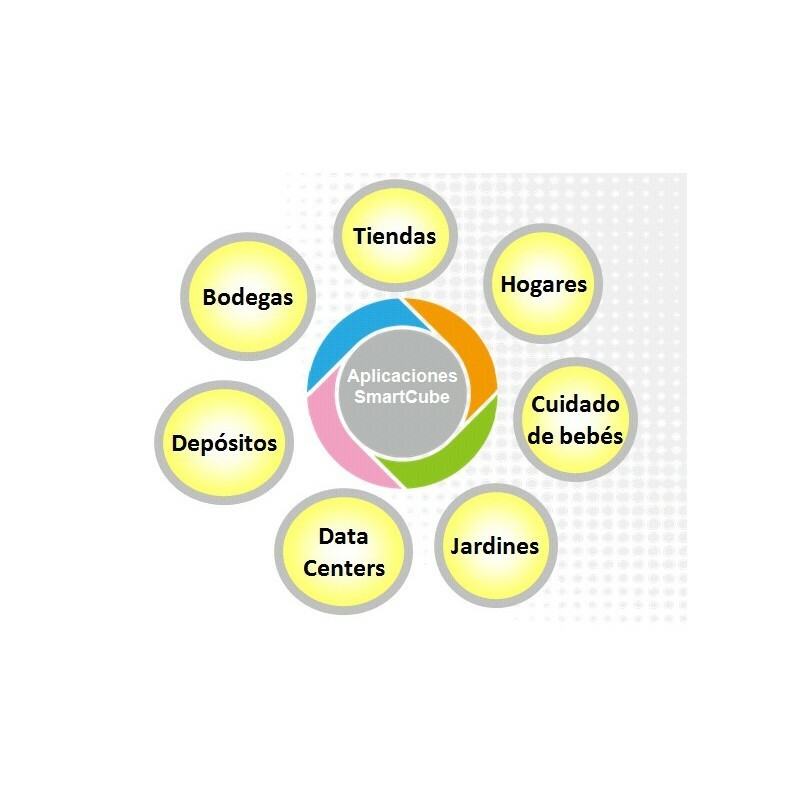 Sensors: PIR, motion detection up to 5 meters. 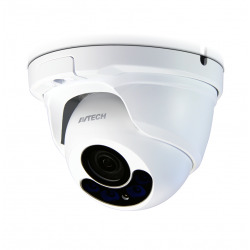 Video Compression: Motion MJPEG / MPEG-4 / H.264.